Fishing in Sooke and in Victoria has slowed down over the past week. There are still salmon around, but the action isn't as steady and the winter springs a little smaller. Still, there's a nice one here and there. 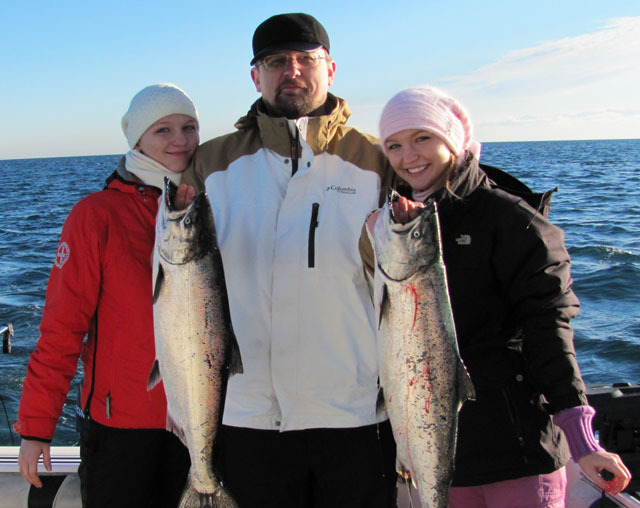 Gord from Foghorn Fishing Charters sent in this photo of a fun day with some visitors from the Ukraine. 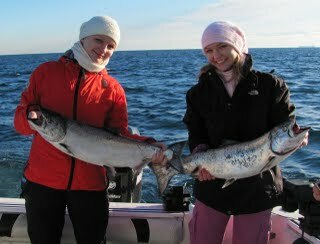 These fish were caught off the Victoria Waterfront. Gord reports most success at 135-175 feet on the downrigger, using bait, spoons, and hootchies, in green colours and purple colours. On the plus side as well is some nice sunny weather for a change...note the blue sky in the photos!